Welding is an absolutely exciting and rewarding career. Also, it’s a good choice for active hands-on individuals. Do you still have some doubts about such a career as welding? Then read this article to get more information about the issue. 5 Where Can Certified Welders Work in Nevada? Welders perform absolutely challenging work. It may sound simple as you only need to connect metal pieces together. Nevertheless, it requires numerous skills so you can use a bunch of tools. Working as a welder in Nevada, you can earn a median salary of $48 420 per year which is about $23.28 per hour. A median salary throughout the country is about $39 390 annually. At the same time, the top 10% of welders throughout the country earn $62 100 per year. The top 10% of welders in Nevada has a pretty much higher salary which is about $74 700 annually. Where Can Certified Welders Work in Nevada? Don’t know where you can look for job offers in Nevada? 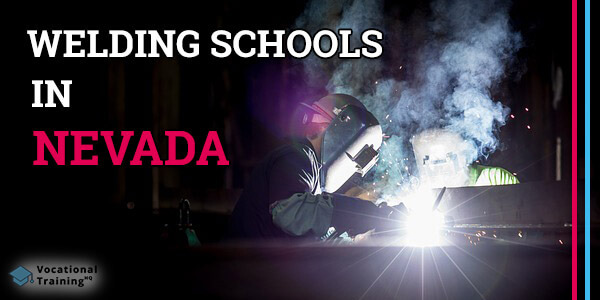 Below there is a list of the best welding certification schools in Nevada. There are 10 schools that were approved by the American Welding Society’s SENSE Accreditation Program. Now, when you’ve learned about welding, you can make your final decision. Just keep in mind that it’s a rewarding and fascinating career.